In the past, we've featured games of many types, whether they were faithful to the classic Zelda formula or took more risks as with our most recent project. However, this quarter's featured project is quite unique, as it isn't a Zelda game per se. 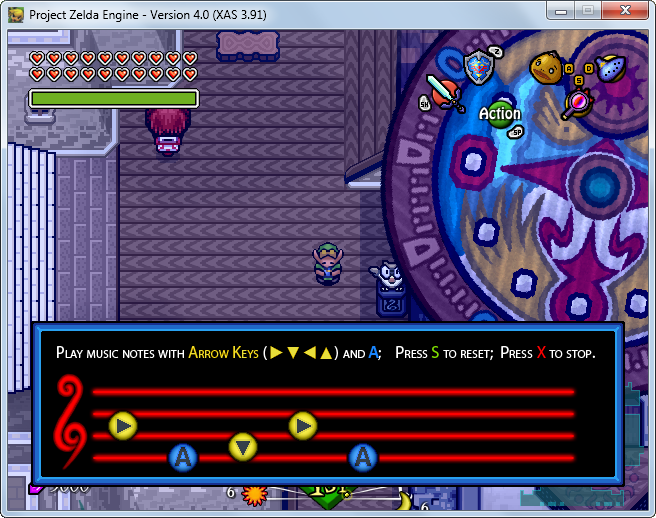 Instead, the Project Zelda Engine uses RPG Maker XP to allow people to make their own Zelda games. While the next patch isn't due for nearly another year, it's incredibly versatile as it stands. Containing a large variety of features and items from past Zelda games, it allows savvy creators to mold an adventure in the land of Hyrule (or elsewhere, if they so desire!) with a large variety of tools and puzzles. You can even use the Ocarina for various songs, or ride Epona, or use masks to transform as in Majora's Mask, and so on and so forth. We had a chat with the creators of this "Zelda Starter Kit" as it is known, and here's what they had to say. Question 1: A lot of developers try to build their own engines from the ground up. What pushed you towards RPG Maker for this rather than going for something completely custom? 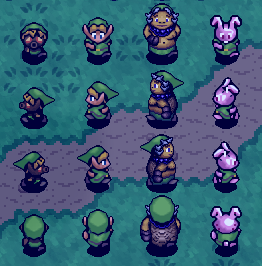 I was just a young teenager with lots of inspirations and fantasy that was fairly enough for creating my own Zelda games. was dead for a long time. Of course I had no clues (and still I have no clues) for why did Mastermind abandoned his work on it. and started the hard work of transforming the Mastermind's engine into something great, for all gamers to use and enjoy. almost endless limitations and possibilities. seems to allow everybody that understand the RUBY scripting language, understandable by everyone to break that limit. and the engine more powerful, without being harder for players to understand. To break the limits of this shareware, and also because it's the one i have started with, and fine to work with. Question 2: You said that your team is made up of members from all over the world. How do you manage to keep your team together like this? Is communication difficult? Do you ever have management problems? found other talented members that had picked up the peices, and for that we are extremely graceful. need to approuve something related to the PZE). We never faced some management problem with Dropbox. The Team is managed via Dropbox, which allow us to work together in it. Question 3: How customizable are things like the advisor and weapons? Can we create our own advisor other than Navi? Same for weapons, can we create our own weapons or are we restricted to those that are provided? is writing a script that performs up to standards using RGSS syntax. 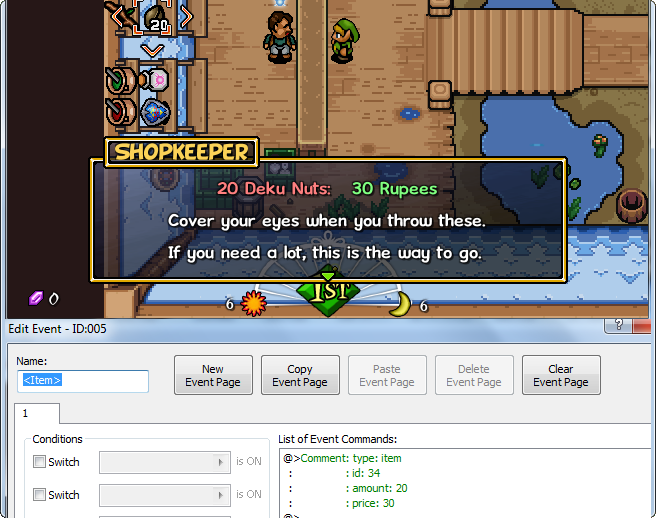 RPG Maker realm for it's flexibility and making capacity, while PZE comes with a complete 2D styled Zelda Game Maker. editing and your advisor's sprite. But as I tell earlier, the programming language is easy to understand. You can create almost everything, but to go further in the customization, a little knowledge of Ruby syntax is necessary. to next generations of Zelda game creators, our knowledge and experience from all this work in Project Zelda Engine! Question 4: Can we import our own resources (sprites, music etc) into the engine? read the help guide that comes with Rpg Maker XP. import your files just by dropping them in the desired folder, they are simple to understand, and very well organisated. making PZE far easier to use, thanks to its user-friendly interface. You can import everything as long you keep the 640 X480 resolution. a such customization is what makes the Zelda gamer very happy! Our goal is to make the engine as restrictless as possible! 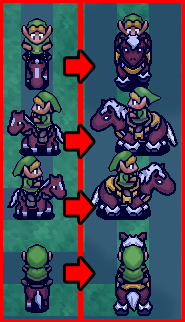 Question 5: How time consuming is it to bring the Link to the Past style sprites into an HD setting? Have you completed all of the sprite conversions yet or is this an in progress thing? the greatness they deserve. Not yet confirmed but discussed we are planning in the future to release what we are calling "map packs"
or two, I'm sure you won't be disapointed. by editing scripts, etc (but we're okay with 640x480, the fullscreen is perfect, it keeps all sprite's quality perfect). team to do all the sprite stuff, and it's done nicely and the result are here. It's a long time work, but we doing well. It 's still in process. patience and work with your mouse and, of course, a good image editing software that makes the whole job a bit more pleasant.. The Project Zelda Engine comes with many different menus for different categories of weapons and items, that can fit different gaming styles! There are Quest Status Screen, Mask Screen, Equipment Screen, Inventory Screen, Map Screen and Save Game Screens. Each screen can be adjusted, modified, or disabled at will. 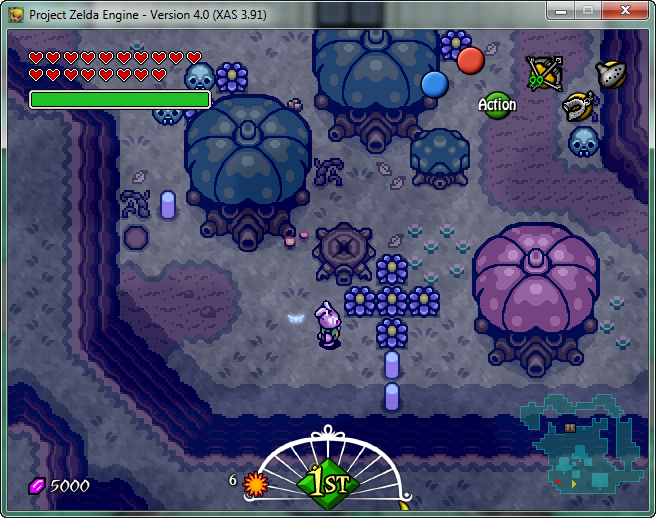 The Project Zelda Engine comes with over 60+ different, eye-candy and beautifully decorated maps! Advanced Inventory Menu with support for multi-hotkeying of the same item/weapon to A, S and D hotkeys, given that the item contains more than one Song/Seed/Type! Link at South Clock Town, by the enormous Clock Tower, playing with his Ocarina of Time. The Interface of RPG Maker XP and how it works. - an screenshot example of setting up the shop's items for sale - Item type, quantity, price, etc! 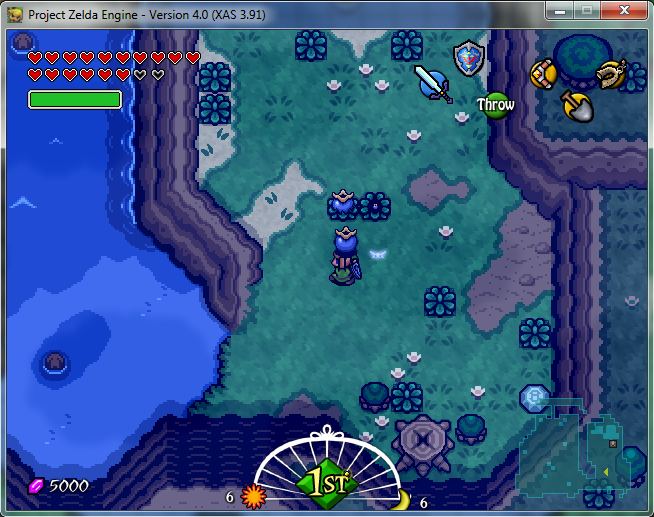 The Dark World can be created in Project Zelda Engine. Entering the Dark World without the Moon Pearl in your inventory, results in Link's transformation into a Bunny Link. The improvement of the engine's graphics takes long time, but is a constant effort. This page was last modified on 10 October 2015, at 13:07.